Mega Industrial Exhibition of South Gujarat. Welcome to Tech Vapi 2019. 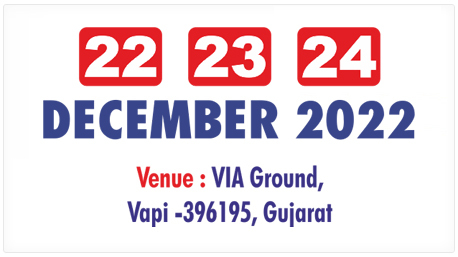 The response to our TECH VAPI 2012, 2014, 2016 & 2018 Exhibition is overwhelming and we announce TECH VAPI 2019. TECHVAPI focus is Small & Medium Enterprises from Engineering, Machinery, Machine Tools, Process Equipments, Electrical & Electronics, Instrumentation & Automation equipments. The participating companies can expect to generate targeted sales leads, future business development, demonstrate their products to appropriate audience, network with their key customers and upgrade their knowledge on new technologies & concepts in the market. 410, 3rd Floor, Tirupati Tower, GIDC Char Rasta, Vapi 396 191, Gujarat. India.